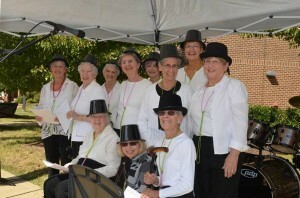 We are a group of 18+ ladies who sing at funerals and holy day masses. We sing 2-part SA music, both classical and contemporary. We support grieving families with the comfort of our music, and we support each other with our friendship and laughter. We may be all over 50, but we sound like angels when we sing! We rehearse each Friday morning from 10am to 11am in the Choir Room. The ability to sight-sing is desirable, but not required. The ability to be free during the day, especially in the morning for funerals, is necessary. Contact the director, Nancy Novelly, at 703-766-3423.